Everyone in marketing (I hope) will agree that measurement has value. But from a measurement perspective, why does PR receive special treatment from other marketing departments? When asked to show the performance of PR, many professionals present share of voice (SOV), impressions, unique monthly visitors – all general awareness metrics. Very few PR professionals provide their clients with more meaningful metrics that speak to the quality of coverage, and even less are those who present the business impact of PR efforts. For the C-Suite to take PR seriously, we need to take measurement seriously. And to do that, we need to provide our clients with serious metrics that show the success and value of PR. Here at Spark, we take measurement seriously and we want to start a movement to #MeasureForSuccess. Kicking the off the movement we will share with you some of our best measurement practices that inform client strategy and support program success. In doing so, we hope to encourage others to provide their own clients with metrics that will help in validating the success of their PR programs. 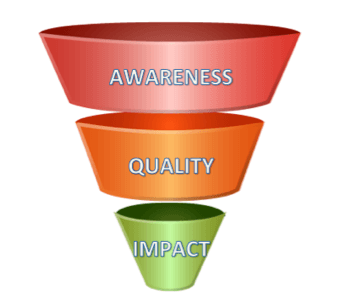 There are three categories of metrics that are vital in painting a complete picture of PR performance: General Awareness, Coverage Quality, and Business Impact. Here are the categories we use at Spark, along with example metrics and their descriptions. Typically presented in a pie chart, SOV is the number of earned mentions a brand and it’s competitors gain from news, blogs and/or social media conversations. The total number of earned mentions for your brand trended over a given period of time. The number of visitors per month to a specific publication. The number of times your content is displayed or “impressed” upon a screen. Value: A mention is more likely to be seen if it occurs in the headline or lead paragraph of an article versus in the lower body. Value: A mention is more likely to be seen if it is a feature article versus only a passing mention, as in a round-up. Value: This allows an assessment of how a brand is perceived in coverage. Value: This assesses what type of publications a brand’s coverage is most often shown in. This allows brands to pitch different publications, or redirect media efforts if necessary. Metric: Financial/Stock, Executive News, Product Story, Product Announcement, Industry, Customer Story, Partnership/Acquisition, Award/Honors, Events, Legal News, Corporate Story, etc. Value: This allows brands to assess what storylines are working, and redirect media efforts accordingly. Value: This allows brands to assess who is responsible for their mention/coverage. Value: This assesses the importance of the publication a brand’s mention was included in. Tier 1 publications are primary targets, Tier 2 are secondary and Tier 3 are of tertiary importance. Value: This allows brands to track when and where executives are mentioned and tracks the success of a Thought Leadership program. Value: This allows brands to track when and where customers are quoted and tracks the success of a Customer Advocacy program. Using Google Analytics, correlate earned media coverage (via referrals) with website traffic (number of sessions). Using Google Analytics, correlate earned media coverage (via referrals) with defined goal completions (demo requests, content downloads, new business inquiries, etc.). Using a brand’s in-house Business Intelligence (BI) platform, how many new leads resulted from earned media/PR coverage. Using a brand’s in-house BI platform, how many new customers (and their value) resulted from earned media/PR coverage. Do you have any thoughts on how to improve the quality of PR & communications measurement and #MeasureForSuccess? What roadblocks have you had to face in PR measurement implementation? Please share in the comment section below! Or tweet us at @sparkpr using the hashtag #MeasureForSuccess. 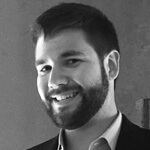 Alexander Romero-Wilson is currently a Senior Analyst at Spark, a data-driven integrated communications agency that focuses on the technology and consumer markets. He was previously a Senior Analyst at Eastwick, a Social and Digital Strategy Intern at H3O Communications, and a Jr. Social Media Analyst at the award winning communications agency, WCG.